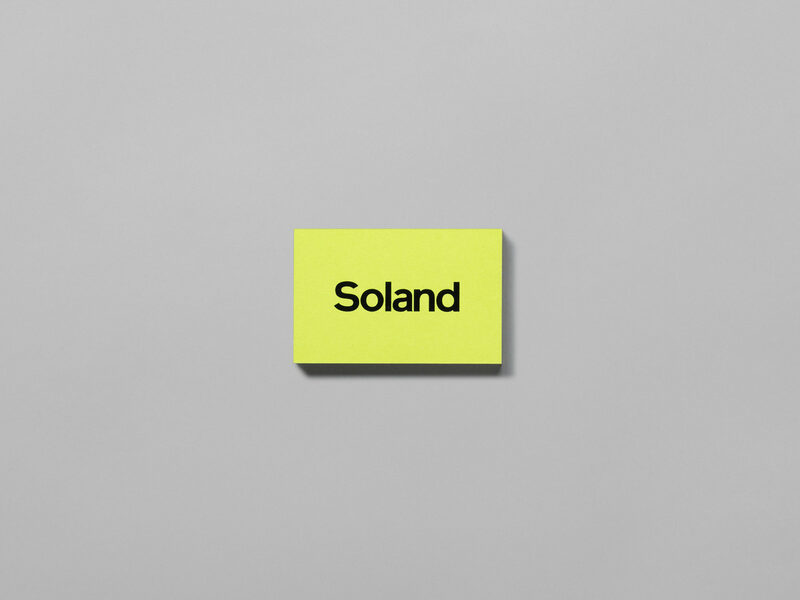 Soland is the company name of Danish-Australian twins who didn’t want their business to be pigeonholed into a single area. Raised in Australia with Danish roots, and now based in New York City and Toronto, the twins started to the company to escape mundane corporate 9-to-5s. 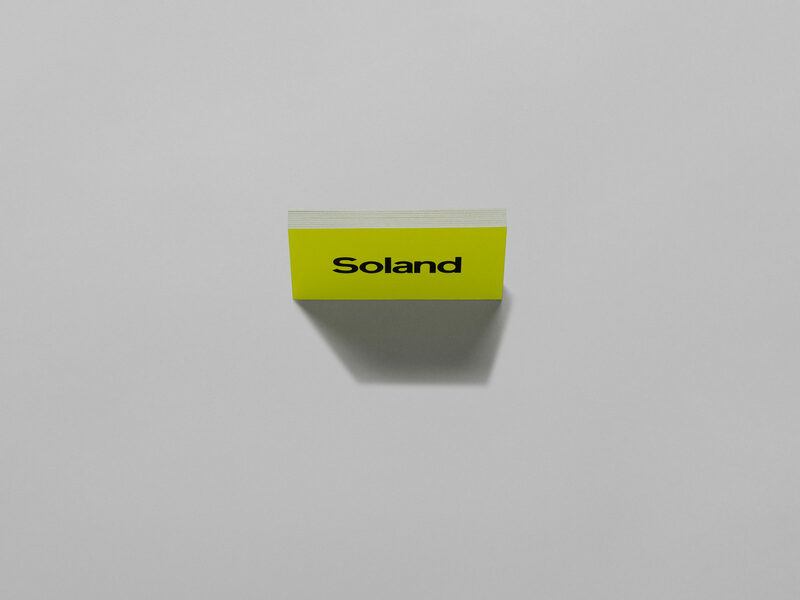 The name itself derives from the words, “sol” — Danish for sun — and “land,” a nod to their Australian upbringing, and love of the outdoors. 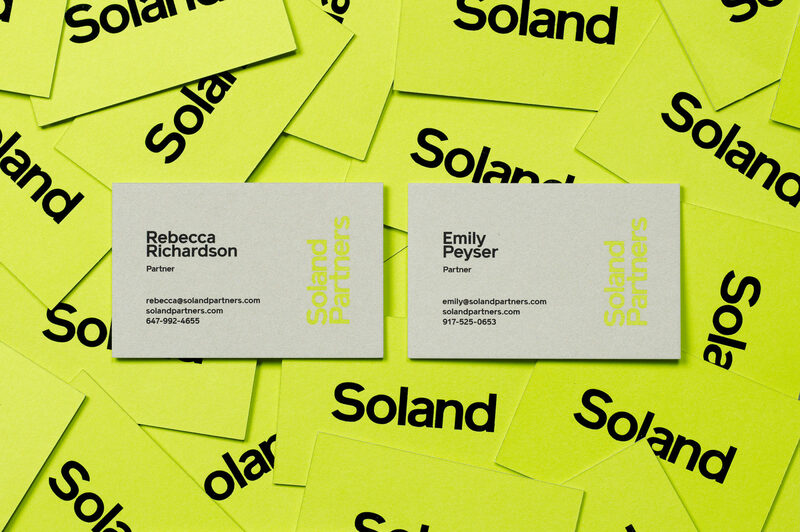 Soland’s current business includes buying and selling land to property developers, so the identity needed to be punchy, easy to remember and work in a broad range of sizes from business cards to billboards, in print and online. The main components of the identity are fairly straightforward. 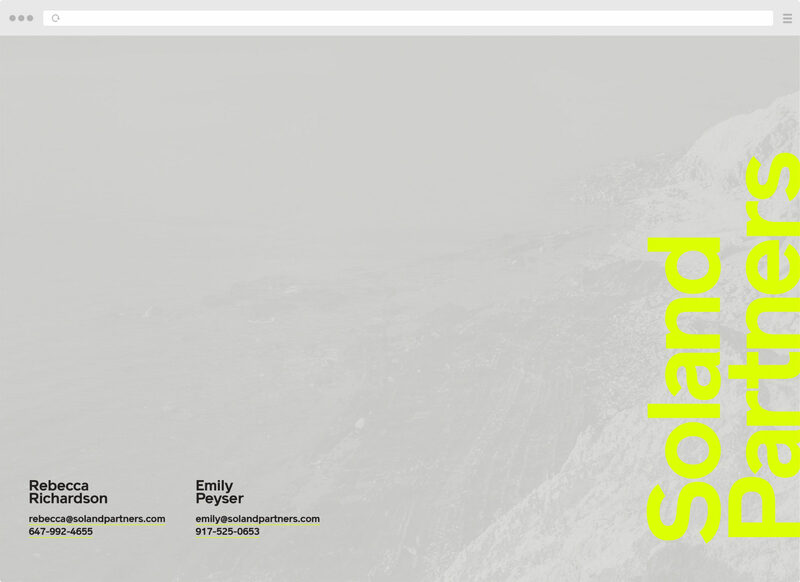 “Soland” is set in Colophon Foundry’s Reader Bold — finding a typeface with a good capital S was important. 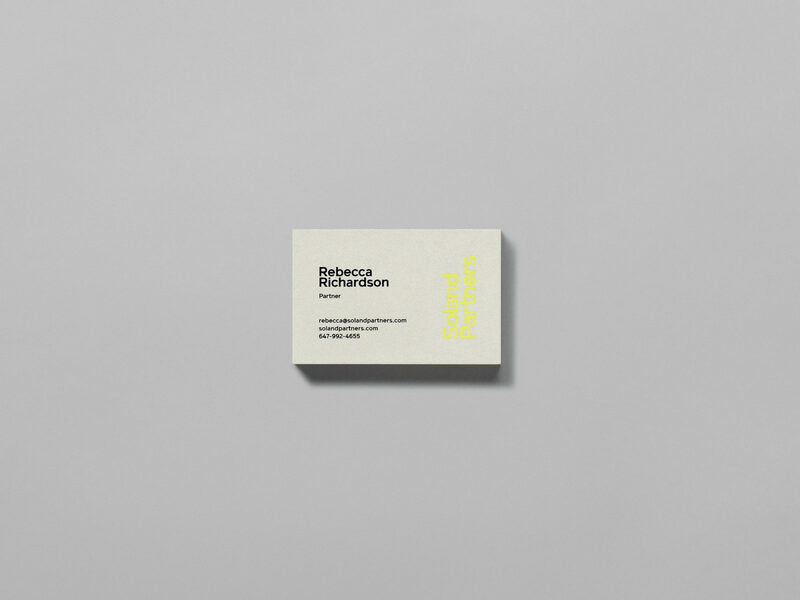 Primary colours are a warm grey paired with a special neon yellow. 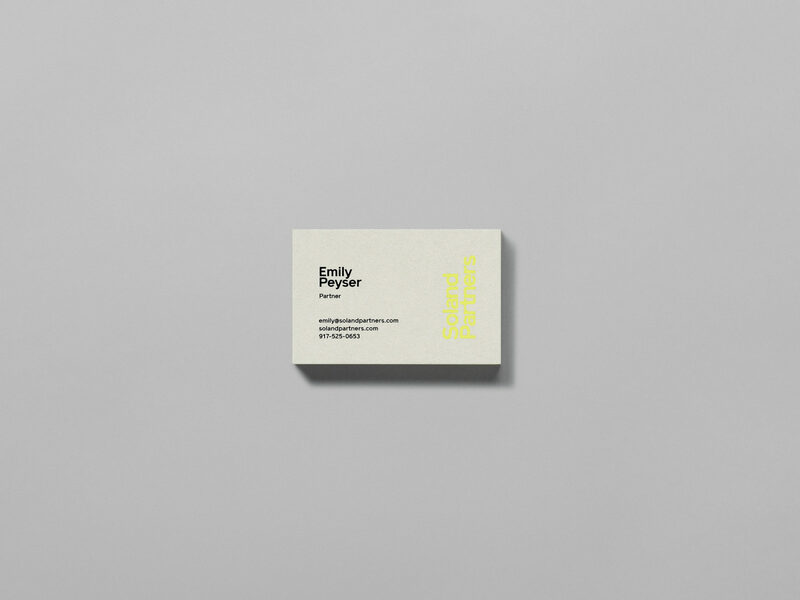 A custom mix of two neon Pantones was used to create a colour with a perfect match to it’s on-screen variant.